They're great at exfoliating the skin, but they're really bad for the environment. According to the U.N. Environment Programme, plastic waste causes $13 billion in damage to marine ecosystems every year, and the overproduction of microplastics is making the job to protect oceans more difficult. Microbeads are “tiny bits of plastic, small scrubbing components used in hundreds of personal care products like skin exfoliants and soap, [and] can slip through most water treatment systems when they wash down the drain,” NPR News reported. Environmentalists are alarmed at the increasing percentage of non-biodegradable microbeads stuck in the ocean and other water sources. Beat the Microbead, an international campaign to ban plastic microbeads, found that marine species such as fish are unable to distinguish between food and microbeads. According to their study, over 663 different species were negatively impacted by marine debris, and approximately 11% of reported cases showed fish ingesting the microplastics. Aside from potentially killing sea creatures, microbeads act like tiny sponges that absorb dangerous chemicals such as pesticides. The US Environmental Protection Agency reported that marine animals not only ingest these microplastics, but also the poisonous substances they collected. The cycle doesn’t end there. The poison can definitely be passed on to humans that consume contaminated fish. So why did these cosmetics companies create and use microbeads in the first place? According to a report by The Huffington Post, they’re much cheaper to produce and have a longer shelf life than organic exfoliants such as sugar and oatmeal. They do the job of sloughing off dirt, grease, and dead skin cells from our face and bodies. But because they’re made of plastic, a synthetic material, they can pose a threat to our skin. 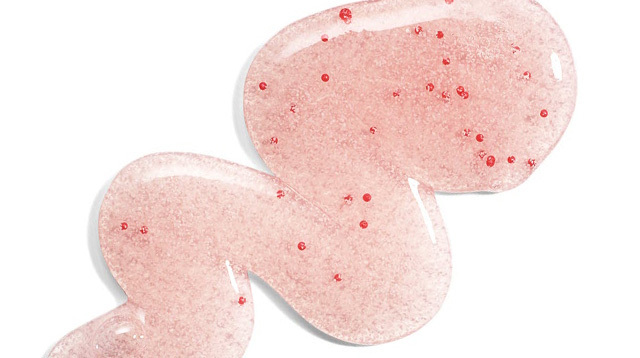 Time reported that microbeads could cause skin tears if used too roughly. Thanks to environmental activists, major cosmetics companies are slowly phasing out microbeads from their mass-produced products. Johnson and Johnson, Unilever, L’Oréal, and Procter & Gamble have pledged to slowly replace microbeads in favor of natural alternatives. “But the shift could take several years,” warned The Guardian. As a consumer, your best option is to spread awareness about the hazards of microbeads and stop buying beauty products that contain them. Read the labels. Most brands place the word “microbeads” outright on the labels, while others hide them in the fine print. If you find the likes of polyethylene and polypropylene in the ingredients, those are definitely the harmful microbeads you need to avoid. Choose skin care brands that use biodegradable exfoliants, such as plant seeds, sugar crystals, or salt. Beat The Microbead regularly updates their database of safe and unsafe beauty brands, and you may browse through their list here. Thanks to Pinterest and DIY blogs, you can easily concoct your own organic scrubs using natural exfoliants such oatmeal, sugar, salt, lemon juice, and ground coffee. Be wary of what you flush down the drain.